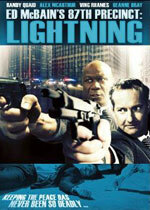 Adapted from the novel Lightning by Ed McBain. When a young woman is found dead in a park, the 87th Precinct believes they are investigating an average homicide—until more bodies turn up. After putting together a series of clues—the victims are all top collegiate runners—the department begins their search for a serial killer. Meanwhile, Detective Steve Carella (Randy Quaid) tries to re-establish himself in the dating world and Detective Bert Kling (Alex McArthur) comes to terms with the diminished state of his marriage. The small town of Black Falls, Vermont, finally feels safe again—until search-and-rescue expert Rose Cameron discovers a body, burnt almost beyond recognition. Almost. Rose is certain that she knows the victim's identity … and that his death was no accident. Nick Martini also suspects an arsonist's deliberate hand. Another fire killed an arson investigator in California months ago. Now the rugged smoke jumper is determined to follow the killer's trail … even if it leads straight to Rose. Nick and Rose haven't seen each other since they shared a single night of blind passion, but they can't let memories and unhealed wounds get in the way of their common goal—stopping a merciless killer from taking aim straight at the heart of Black Falls. Attorney Erin Morgan has a rule: never defend the bad guys. But Rick Thomas, quiet and self-assured, doesn't seem bad. That's why she agrees to defend him against what he swears is a trumped-up murder charge. She's ignoring her experience and listening to her instincts instead. His name is Edge, and he is the last of a band of Immortals murdered by obsessed vampire-hunter Frank Stiles. Vengeance is Edge's obsession, but to destroy Stiles, he must find the woman called the Golden Child. A legend among the undead, Amber Lily is the only half human, half vampire ever born. She shares Edge's need to find Stiles—but she needs to keep him alive. Edge is exciting, irresistible, and despite herself Amber is drawn into his hunt, led by passion to the lair of an evil she may be unable to defeat—to the edge of twilight, where only the Immortals belong. The Hidden Staircase Mystery Books recently updated its list of November 2010 hardcover mysteries as well shelved new November paperbacks on The Mystery Bookshelf. In this series of monthly posts, which we call Firsts on the 1st, we're introducing readers to new series characters who will make their mysterious debut during November. What we know about the character: Miss Dimple Kilpatrick is a 1st grade teacher in Georgia. 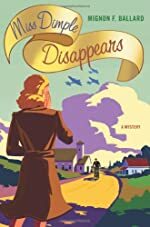 Her first case: It’s 1942, almost a year since the Japanese bombed Pearl Harbor, and the residents of the small town of Elderberry, Georgia, have been rattled down to their worn, rationed shoes. For young teacher Charlie Carr, life and love aren’t going exactly as planned—her head dictates loyalty to the handsome corpsman, Hugh, but whenever she thinks of her best friend’s beau, Will, her heart does the Jersey Bounce. Charlie is doubly troubled by the disappearance of beloved schoolmistress Miss Dimple Kilpatrick one frosty November morning just before Thanksgiving. Miss Dimple, who has taught the town’s first graders—including Charlie—for almost forty years, would never just skip town in the middle of the school year, and Charlie and her best friend, Annie, are determined to prove it. 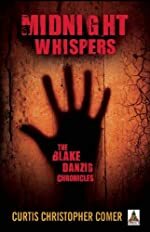 What we know about the character: Blake Danzig is a paranormal investigator in San Francisco. His first case: The star of the syndicated show Haunted California and owner of Danzig Paranormal Investigations, Blake has been able to see and talk to the dead since he was a small boy. Born into a circus family, Blake eventually made his way to San Francisco where he wrote his first book and opened his paranormal investigation office. Assisted by his best friend and self-proclaimed witch, Melody Adams, Blake helps his ex-lover and San Francisco Police Detective, Brian Cox, solve cold case murders by contacting the spirits of the victims. But, when he gets too close to a psychotic spirit, all hell breaks loose and Blake ends up risking losing not only his boyfriend, Joe, but his very soul. What we know about the character: Ash Levine is an ex-LAPD homicide detective. His first case: When a legendary ex-cop is mudered in Los Angeles, the pressure's on to find the killer. 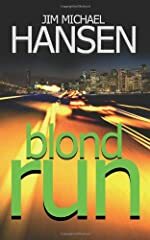 Lt. Frank Duffy needs his best detective on the case, but his best detective, Ash Levine, quit a year ago. A tenacious, obsessive detective, Ash resigned after Latisha Patton, the witness in a homicide case he was working, was murdered. Without his job, Ash is left unanchored -- and consumed with guilt that he somehow caused Latisha's murder. When he's asked to rejoin the force, Ash reluctantly agrees. Getting his badge back could give him the chance to find Latisha's killer. Ash dives headfirst into the shadowlands of Southern California to investigate the ex-cop's murder. But even when he has a suspect in custody, something about this case doesn't sit right with Ash, and he continues working the increasingly dangerous investigation while quietly chasing leads in Latisha's murder. Unable to let either case go, Ash finds that his obsessive nature might prove fatal. What we know about the character: Trane Ravenwood is a homicide detective in San Francisco. His first case: While frantically hunting for an elusive killer who is scheduled to take the next victim by the end of the week, Ravenwood witnesses an unrelated murder from a place he shouldn't be. Almost immediately, he is pulled into the edgy world of Trance St. Croix, a beautiful attorney who is too mysterious to trust and too hypnotic to resist. What we know about the character: Oliver Steele is an investigative accountant. 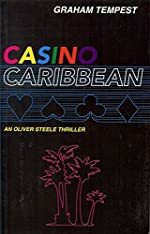 His first case: When the ruthless founder of a hugely successful Internet casino is assailed simultaneously by a rival group trying to steal his business, and by the friends of a compulsive gambler he has ruined, seeking redress, Oliver is hired by sharp financier Carlton Tisch to dig into the case of the elderly gambler. Helped and sometimes hindered by the man's talented daughter Kathy, and by Tisch's Israeli soldier-of-fortune sidekick, Kon Feaver, he finds himself dodging bullets on Antigua and trying to thwart casino operator Frankie Leon and his devious attorneys. What we know about the characters: The Athena Project is a group of women trained to combat terrorism. Their first case: Just as skilled, just as fearsome, and just as deadly as their colleagues, Delta Force’s newest members have only one thing setting them apart—their gender. 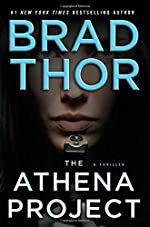 Part of a top-secret, all-female program code-named The Athena Project, four of Delta’s best and brightest women are about to undertake one of the nation’s deadliest assignments. For a list of more mysteries scheduled for publication during November, please visit our New Mysteries home page. 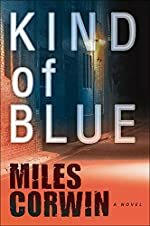 If you're interested in new paperbacks, visit The Mystery Bookshelf, where you can discover a library of new mysteries, also updated with November 2010 releases. Please also visit the Hidden Staircase Mystery Books where we are committed to providing readers and collectors of mystery books with the best and most current information about their favorite authors, titles, and series. Telemystery, your source for one of the most comprehensive selections of detective, amateur sleuth, private investigator, and suspense television mystery series, mini-series and made-for-television movies, now available or coming soon to DVD or Blu-ray disc, is profiling one series, one mini-series, and three collections being released this week. Sir Derek Jacobi is Brother Cadfael, a 12th-century Benedictine monk and former Crusader who uses his worldly knowledge, apothecary skills, and keen intuition to solve crimes in Cadfael. Based on the bestselling novels by Ellis Peters, this award-winning series is a fascinating mix of costume drama, Middle Ages spirituality, and classic whodunit. 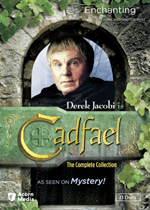 The Cadfael: The Complete Collection DVD set of 13 discs contain all 13 episodes that aired from 1994 through 1998, which were previously released on four separate DVD sets. Extras include audio comments by Derek Jacobi, production scrapbooks, and historical background notes. 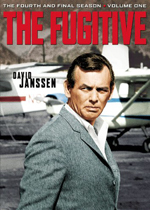 David Janssen stars as Dr. Richard Kimble in The Fugitive. Accused of the murder of his wife, the night before his execution, he escapes. The only chance to prove his innocence is to find the one-armed man he saw kill her. Kimble, persecuted by Lt. Gerard (Barry Morse), risks his life several times when he shows his identity to help other people out of trouble. The The Fugitive: Season Four (Volume 1) DVD set of 4 discs contain the first half of the final season of the series, which aired during the fall of 1966. The series was the basis for a 1993 theatrical film starring Harrison Ford as Kimble and for a short-lived update of the series in 2000 starring Timothy Daly. John Nettles stars as Detective Chief Inspector in Midsomer Murders, a series based on characters created by mystery author Caroline Graham and located in the fictional English county of Midsomer. 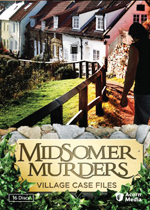 The Midsomer Murders: Village Case Files DVD set of 16 discs collects the 16 episodes previously released on DVD sets Nine through Twelve, which originally aired between 2004 and 2006. John Hopkins stars as Barnaby's partner Detective Sergeant Dan Scott in the first half of these episodes, and Jason Hughes as his new (and current) partner Detective Sergeant Ben Jones in the second half. When ITV rebooted a series of Miss Marple mysteries in 2004, Geraldine McEwan was hired to portray the amateur sleuth, a role she played for three seasons (12 episodes). Prim and proper in her smart tweed suits and matching hats, Miss Marple is often overlooked by the police and underestimated by criminals. But she proves her mettle time and again, solving cases that leave even the most experienced professionals flummoxed. 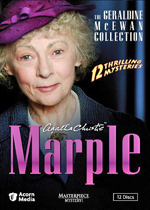 The Miss Marple: The Geraldine McEwan Collection DVD set of 12 discs collects these episodes that were previously released as three separate sets. Read Mr. E. Reviews Miss Marple: The Geraldine McEwan Collection at MrEReviews.com. 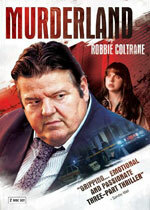 Robbie Coltrane and Sharon Small star in Murderland, an clever and compelling thriller that tells a traumatic murder story through the eyes of three central characters: Carrie the daughter of the murdered woman, Douglas Hain, for whom the investigation becomes a haunting obsession; the detective in charge of the investigation; and Sally the murder victim. Murderland aired as a three-part miniseries on ITV in 2009. The Murderland: The Complete Miniseries DVD set is comprised of 2 discs. When Anna's father is murdered, uncomfortable truths that call her past into question come to light. She remembers her father telling her of the horrors he had witnessed as a member of a mysterious cult. Although she didn’t believe they were true, the tales were so strong and fascinating that Anna wrote a book and told the world. Now, disturbing nightmares of the cult haunt her and she feels a grave danger. Were the stories real? Find out as you follow Anna and her friends headlong into a confrontation with her dark destiny. See how her life begins to unravel when she journeys across the world in search of answers. Piece together puzzles and find objects in 24 frightening levels. Will Anna make the ultimate sacrifice to save her soul? 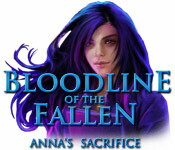 Bloodline of the Fallen: Anna's Sacrifice may be downloaded and purchased for $6.99 with a Big Fish Game Club membership. A demonstration version (207.13 MB) may be downloaded and played for free for one hour. These playing cards are featured in the 12th title of the Wycliffe mysteries by W. J. Burley (9 letters).